Judge J. Anthony Miller has been caught red-handed falsifying the Court Record in the Winston Frost Tanya Hathaway divorce Case in Tulsa, Oklahoma. Judge J. Anthony Miller attended law school with Winston Frost. He was obligated to disqualify himself in the case because he had knowledge of disputed facts in the case as the "mediator." In a July 14, 2016 Order, he lied about it. But he didn't realize there was a transcript in the case about his work as the "mediator," and he has been caught red-handed. Winston Frost became a resident of New Hampshire in November 2013 and physically moved to 160 Philbrick Hill Road in Springfield, New Hampshire on May 24, 2014, 12 days before he filed a Petition for Dissolution of Marriage. On June 4, 2014, Winston Frost's attorneys filed the Petition for Dissolution of Marriage in Tulsa County, Oklahoma District Court (Case #FD-2014-1476). It was unsigned, had a fraudulent notary, and was perjured as he did not meet the residence or domicile requirements for a divorce in Oklahoma. The Petition for Dissolution of Marriage is blank where the signature line for Daniel Gray of the Miller Hughes Law Firm is provided. There is an affidavit by Winston Frost stating that he was duly sworn, and he stated under penalty of perjury that the facts and allegations were true and correct. He committed perjury, and this perjury was suborned by his attorney, Michon Hughes. He was not sworn; the notary is a fraud; and the facts are false. The evidence and sworn testimony filed in the District Court prove that Winston Frost was not a resident of Tulsa County or Oklahoma for at least 12 days prior to filing the Petition for Dissolution of Marriage. But Judge J, Anthony Miller ignored all of the facts and the law. On January 5, 2015, a so-called “mediation” was held by Winston Frost’s attorney, Michon Hughes, with Tanya Hathaway, and with a Tulsa judge/mediator. The "mediator" was not the judge in the case. The meeting was allegedly an attempt for a quick resolution. The “mediator” gained personal knowledge of disputed evidentiary facts concerning the proceeding. When Tanya Hathaway attempted to speak during the informal conference, the "mediator" yelled at Tanya Hathaway to “SHUT UP.” In April 2016, Tanya Hathaway learned that the "mediator" was Judge J. Anthony Miller, the judge named to take over the case from Judge James Keeley. Judge J. Anthony Miller had ex parte discussions with Michon Hughes and obtained information about disputed facts in the case. 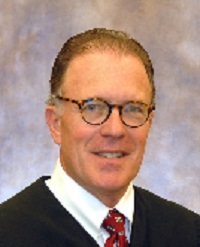 On or about January 20, 2016, a “Judge Miller” was assigned to be the judge in the case, taking over for Judge James W. Keeley. This was announced in a January 5, 2016 docket entry. The full name of the judge was not given. On February 29, 2016, Judge J. Anthony Miller conducted a telephonic hearing. Tanya Hathaway participated by telephone from New Hampshire, so she never saw the face of the judge. There were no other hearings held until the Pre-Trial Conference on April 4, 2016. On April 4, 2016, Tanya Hathaway appeared in court for the first time before Judge J. Anthony Miller. She immediately realized that he had been the would-be “mediator” in the case. She was not represented by counsel, was extremely ill, and was taking medications that affected her. She passed out in the hall of the courthouse, had her blood oxygen content registered at 10 and was taken by paramedics to the hospital while Judge J. Anthony Miller was ordering her back to the courtroom and Michon Hughes had a sheriff’s deputy serve her with a subpoena that required her to return to the courtroom. Tanya Hathaway learned of the bias of Judge J. Anthony Miller and grounds for disqualification only as the pre-trial conference and trial occurred. She was unaware of this significant grounds for the disqualification of the trial judge prior to the trial. The actions of Judge J. Anthony Miller on April 4, 5, 6, and 7, 2016 were beyond outrageous. He forced Tanya Hathaway to participate in hearings and a trial when she was physically incapable. He ruled in favor of Winston Frost when there was no factual or legal basis to do so. He acted as he did out of overwhelming bias against Tanya Hathaway and clear prejudice for the extremely dishonest Winston Frost, Michon Hughes, and Darrah Haworth. During the trial, Tanya Hathaway stated that she took a medication that would not permit her to handle her defense or testify. Not only did Judge J. Anthony Miller ignore this, but he had the testimony and the identification of the medication stricken from the record. This can be proven as Tanya Hathaway has a tape recording. During trial, Tanya Hathaway experienced a major panic attack. Judge J. Anthony Miller interfered with her medical treatment in a demonstration of bias and abuse that almost defies description. Tanya Hathaway could have hit her head and died when she passed out at the Tulsa County Courthouse. On April 7, 2016, Tanya Hathaway was taken by ambulance from the courthouse to the hospital at what felt like death’s door. On April 8, 2016, an alleged “Decree of Dissolution of Marriage” was filed. Judge J. Anthony Miller ignored all of the facts and the law. On April 11, 2016, Tanya Hathaway sent a letter to Judge J. Anthony Miller asking him to disqualify himself. It said “Please accept this letter as a formal request for you to disqualify yourself in this case.” It was docketed on April 18, 2016. This was an in camera request as it was made in private, and she lives 1,500 miles away and could not go to Tulsa, Oklahoma. This was sent after she returned from Oklahoma to New Hampshire following medical treatment. On April 30, 2016, as Tanya Hathaway’s April 11, 2016 letter had not been addressed, she sent a Motion to Disqualify Judge J. Anthony Miller for filing. It was docketed on May 3, 2016 at 11:12 am. The April 11, 2016 in camera request to disqualify was confirmed in the Motion to Disqualify Judge J. Anthony Miller (Paragraph 4). On May 5, 2016 at 4:35 pm, an order was entered overruling the April 30, 2016 Motion to Disqualify Judge J. Anthony Miller. The order stated that Tanya Hathaway failed to comply with Rule 15 by first requesting an in camera hearing. On May 10, 2016, Tanya Hathaway responded to Judge J. Anthony Miller’s order stating that Tanya Hathaway failed to request an in camera hearing. She and Judge J. Anthony Miller’s clerk, Shana Grandstaff, exchanged several emails. Shana Grandstaff claimed Rule 15 requires an in person hearing, but it does not. Shana Grandstaff said that she consulted with Judge J. Anthony Miller, and he said the in camera request needs to be in person. Then on June 21, 2016, Tanya Hathaway received an email from Shana Grandstaff setting a telephonic hearing on the motion for an in camera hearing on the disqualification of Judge J. Anthony Miller for June 23, 2016 in Case #FD-2014-1476. This was not docketed. On June 23, 2016, the hearing was held. A court reporter transcribed the hearing. Tanya Hathaway testified under oath. On June 27, 2016, an order was entered overruling the in camera request for disqualification. Judge J, Anthony Miller ignored all of the facts and the law. On July 5, 2016, Tanya Hathaway sent a Motion for Reconsideration of the Order overruling the in camera request for disqualification. On July 14, 2016, Judge J. Anthony Miller issued an Order Denying Motion to Disqualify. In this Order, Judge J. Anthony Miller claims that he did not meet with the parties prior to being named judge. This was false. No one has disputed this allegation EXCEPT Judge J. Anthony Miller. The meeting took place, and Judge J. Anthony Miller knows it did. But he has attempted to conceal this throughout the case, and now he has attempted a cover-up. But court transcripts have nailed this liar on the bench where he has no business sitting. On July 21, 2016, Tanya Hathaway sent a “Motion for Reconsideration of Motion to Disqualify Judge J. Anthony Miller” to be filed. It was docketed on July 27, 2016. In this Motion, Tanya Hathaway provides the transcript of a hearing in which two attorneys and Judge James Keeley confirm that Judge J. Anthony Miller met with the parties as "mediator" prior to being named judge. Now the ball is back in the court of corrupt Judge J. Anthony Miller. He'll probably just lie again as he has throughout the case, ruling again and again against what the facts and the law required. The saga of Winston Frost is a long story better understood by reading articles at www.winstonfrost.com.